What records provide added value. Bullet entry/exit codes : 1 Chest; 2 Neck (fatal); 3 Head (fatal); 4 Guts (abdomen;) 5 Brisket (sternum)*; 6 Shoulder (upper scapula)*; 7 Saddle (spinal vertebrae)*; 8 Upper haunch (pelvis)*; 9 Mid haunch*; 10 Back leg; 11 Front leg; 12 Outer neck and head (non-fatal) *; denotes areas of importance to venison quality. 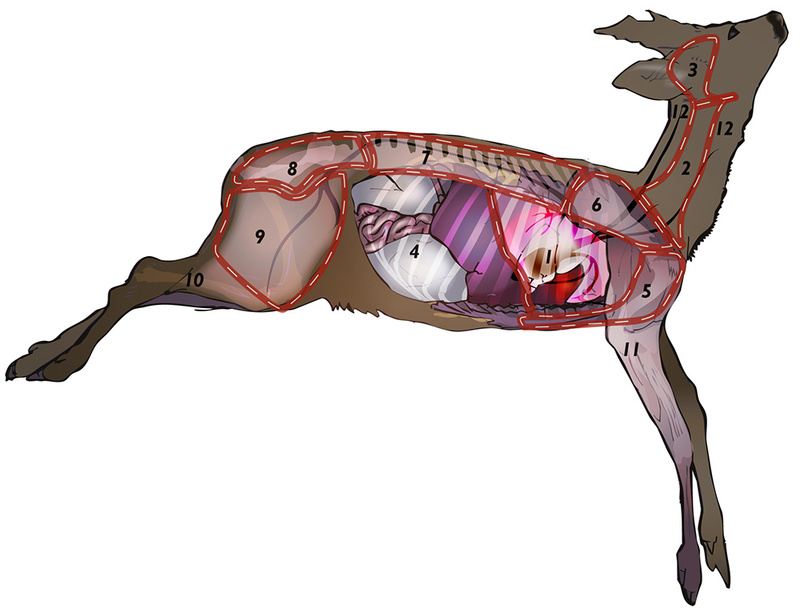 Data gathered from culled animals may be required to comply with legal requirements, to assist with informing deer management and to meet standards required through quality meat assurance schemes or individual venison dealers . 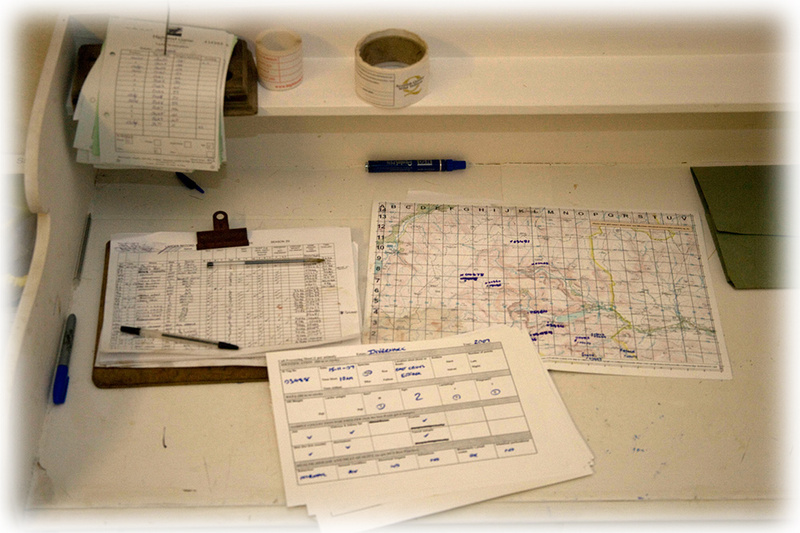 Deer Management: Cull data collected may be used to inform and monitor management. It is recommended that those collecting the data are briefed on the results and management implications annually. Quality Assurance: Quality assurance schemes or the additional food safety management requirements of venison processors may require that extra records be kept. If including additional information in the cull record you should be clear as to what it will be used for. Review the data collected on a regular basis to ensure that it is still relevant and is being used for the intended purpose. Time culled (to nearest hour). Abnormalities to organs such as the: mouth, tongue, lungs, bladder, kidneys, lymph nodes, adhesion between viscera and abdominal wall and any other part of the carcass. Abnormal condition or behaviour observed before shooting. Name of individual who signed inspection declaration. Butcher weight (gralloched with head, legs and pluck removed, dried) (Kg). Name of the individual who culled the deer. Name of individual who gralloched the deer (if different from above). Age class (calf, young, middle, old). If age determination is important to the management objectives, lower jaws must be stored for an independent check at a later date. Corpus Lutea: Y/N; Number present. Bullet exit (code - see illustration above). Hill weight (gralloched with head, legs and pluck attached) (Kg). Air temperature of chiller (or larder if no chiller) (ºC). An example Deer Larder Record form can be found in the Reference section.